I’ve been juicing and smoothing a lot lately, that is one of the reason why I haven’t posted much these days. I love food, but to be honest I feel a lot more energized with this new diet I started. 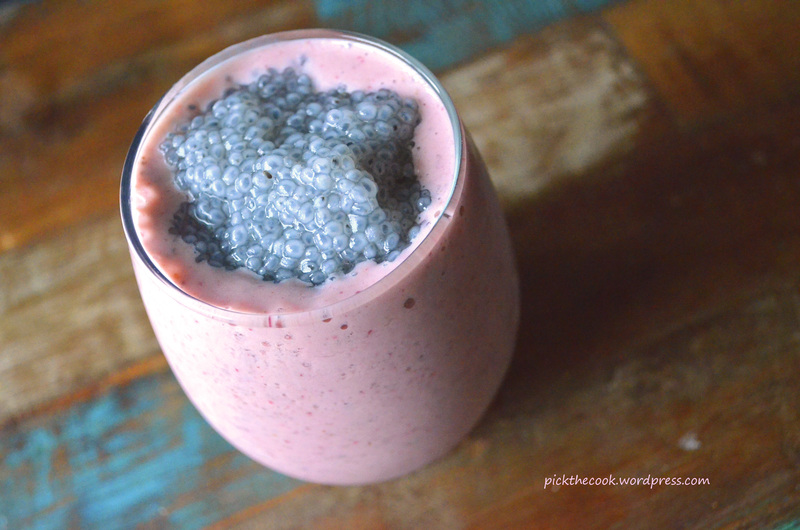 The sweet basil seeds are a lot like chia seeds, you get like a smoothie- pudding when you use them. The soy milk give the smoothies a nice silky consistancy that you won’t get with coconut milk (my other go-to non-diary milk). February 26, 2014 in breakfast, smoothie.